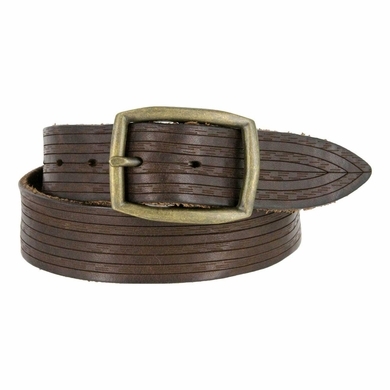 A soft, vintage-feel full-grain leather belt, laser-engraved with thin stripes conforming to the shape of the belt, engraved with an imitation wood grain pattern. Features an antique brass-finish buckle. 1-3/8" wide.